We offer unique services when it comes to occupational therapy billing. 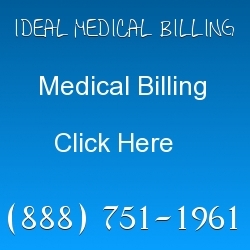 We understand that your medical practice needs accurate billing. 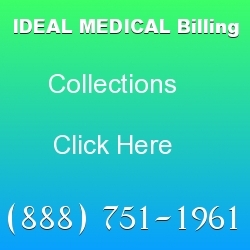 Ideal Billing Solutions has professional ICD-10 coders that handle your collections and revenue cycle management. You have access to patient data and financial information every day. We offer state of the art software that is customized to your business needs. We have been doing billing and collections for years now. We enjoy helping our occupational therapists get to the next level. You will find that our aggressive techniques with insurance companies help you to get higher returns on your claims. We get you the maximum reimbursement. Our success is because of the professional coders that we have working on our team. We take billing seriously. We don’t profit unless you do. We give you a detailed report every single month. When you work with Ideal Billing Solutions, we usually get you paid within 30 days. We work on your outstanding claims that you presently have. Often, in house billers do a poor job at handling many types of claims and often put them on a “do it later” pile. In actuality, you often never get paid on these claims. We follow up with the insurance companies on every single claim to ensure that you get paid. The best part of working with us is that we give you up to date details daily. We have customized services that are great for occupational therapy practices, chiropractors and oncologists. Ideal also works with treatment centers and rehabs of all sizes. You will get easy to understand patient bills and your claims accurately submitted the first time out. Our billers can explain in detail more about RCM and what is changing in ICD-10. Our coders are educated and have years of experience. Your Electronic Health Records (EHR) is safe with us. We have customizable software packages that we work with in order to ensure that all HIPAA requirements are met. It doesn’t matter if you have 4 patients or 100, we can manage all of your needs. 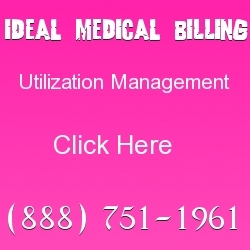 Our billing company is dedicates to working with you 24/7. We enjoy helping people through all walks of life. Doctors can safely view their financial reporting and give them an accurate overview of their practice. Many doctors are shocked to learn how much money they are saving by working with Ideal. They are also shocked to learn that their profits keep on going up. We know that occupational therapy requires special skill. This is why we have put together the best team to handle your billing. 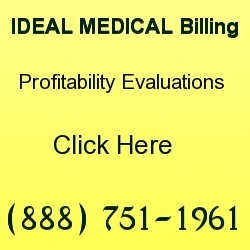 You should be happy to know that we do medical billing audits regularly. We also do managed care contracting. Our ASC certified coders will prepare all of the necessary forms for you and submit them. The best part about working with us is that you eliminate errors. Many in house medical billers make errors and then you don’t get paid. Here, we carefully screen every claim that goes out with multiple billers and coders. We consider ourselves to be masters in this field and our clients do also.